The bipartisan amendment, released late Monday, comes as the White House is deeply embroiled in a crisis over whether Trump's campaign team colluded with Russian officials to help sway the 2016 election in Trump's favor. US Senate is aiming to punish Vladimir Putin for interfering in last year's presidential election. 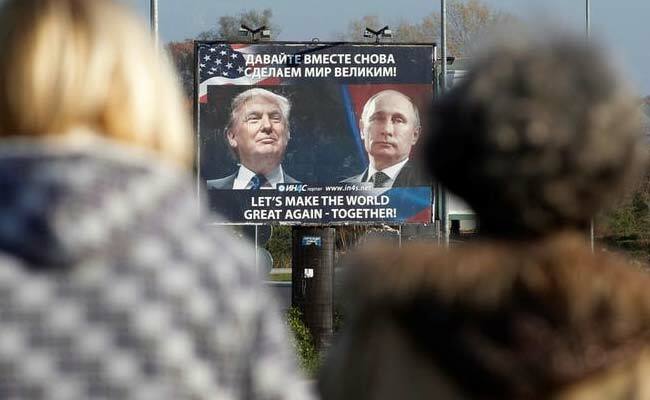 Washington, United States: The US Senate is aiming to punish Russia's Vladimir Putin for interfering in last year's presidential election by drafting sanctions that would prevent President Donald Trump from unilaterally easing pressure on Moscow. It would codify in law the sanctions imposed by executive decree by Barack Obama, especially against the Russian energy industry. "I believe it's particularly significant that a bipartisan coalition is seeking to reestablish Congress as the final arbiter of sanctions relief -- no matter what the administration does -- considering that this administration has been too eager to put sanctions relief on the table," top Senate Democrat Chuck Schumer said Tuesday. Democrats and Republicans alike were standing united in "ensuring that the United States continues to punish President Putin for his reckless and destabilizing actions," Schumer added. In addition to Russia's cyber-attacks that helped it interfere in the US elections, the reasons for tightening sanctions include responding to Russia's violation of Ukraine's and Crimea's territorial integrity, and its continuing aggression in Syria. The amendment is being attached to an Iran sanctions bill aimed at punishing Tehran for its "continued support of terrorism." The measure is widely expected to pass Congress. The Senate holds a procedural vote Wednesday and a final vote possibly this week. It then heads to the House of Representatives.